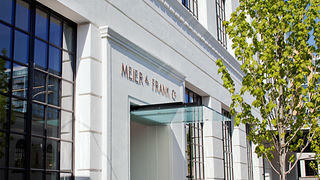 Founded in 1857 by Aaron Meier, the renowned department store Meier & Frank started life as a small storefront at 137 Front Street, Portland, Oregon. In 1873, Meier teamed up with Emil Frank, and the department store began a century-long expansion process to become a legacy of the Pacific Northwest. Though its doors are shuttered and its name was officially discontinued in 2006, the Meier & Frank legacy lives on in the form of several historic Portland, Oregon, buildings. 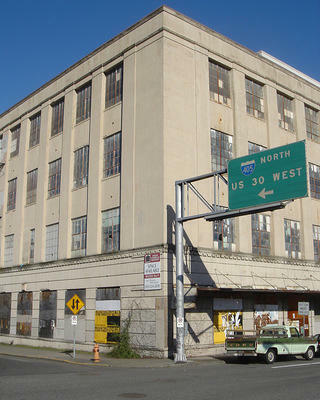 One such building, the former Meier & Frank Delivery Depot in the city’s Pearl District, is a lesser-known relative of the 15-story Meier & Frank department store downtown. After a 60-year stint as the store’s delivery center, the building was purchased in 1986 by the Oregon Historical Society as a space to house and process its collections. When Historical Society moved to a new location in 2001, the Meier & Frank Delivery Depot lay vacant for years until development company Gerding Edlen took an interest in the property and began its rehabilitation. 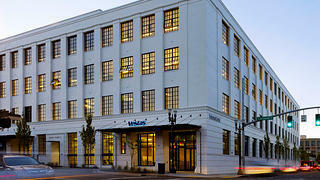 The former Meier & Frank Delivery Depot is now a LEED Platinum certified office building for global energy company Vestas. 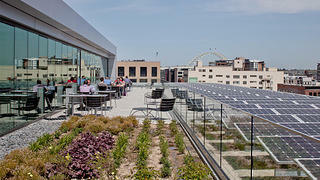 The new roof deck helps promote both sustainability practices and healthy living. The building's windows are high performance replicas of the originals, designed to let in plenty of natural light. A group of five architectural firms were set to rehabilitate the building in order to fit sustainability standards and maintain the National Register-listed structure’s original historic character. The purchase presented an opportunity to revitalize one of Portland’s long-vacant places, though several challenges presented themselves throughout the process. The team originally wanted to add a fifth story to the delivery depot, which passed local and state historic landmark standards but fell short at the federal level. While Gerdling Edlen was working to find creative solutions to keep the fifth story, the 2007 economic recession hit and the project stalled. Vestas, a global energy company specializing in wind power, was the Meier & Frank Delivery Depot’s saving grace when they leased the building from Gerding Edlen in 2011 and the rehabilitation process restarted. In order to add a fifth story while reducing the square footage needed to maintain the building’s historic character, the team added a roof deck that houses Portland’s largest solar panel array and created usable outdoor spaces for employees to get a breath of fresh air. But the building’s historic credentials didn’t make every aspect of the rehabilitation a challenge—a large, unused basement structure served as an ideal place for a rainwater reservoir. The building’s roof area captures Portland’s rain throughout the year and filters it down to the reservoir, which is used internally for flushing toilets, irrigation systems on the eco-roof, and other processes. According to Phil Beyl, director of GBD Architects (one of the firms involved with the project), “a 143,000-gallon water tank is unusual for most buildings, but since we had a historic cavity, it was perfect.” Though Portland is known for its large quantity of yearly rainfall, the tank is also big enough to last the city’s dry season from July to October. The Meier & Frank Delivery Depot before the rehabilitation process began. Want to learn more about how historic places and sustainability can work in tandem? Check out this story from Preservation Leadership Forum. One of the project's funding sources included $10.5 million in historic tax credit equity, helping the Meier & Frank Delivery Depot achieve LEED Platinum certification. The building’s historic windows were replaced with energy-efficient, high performance replicas of the originals, and a sunken atrium was included in the center of the structure to bring more light into the space. What’s more, Beyl says that the rehabilitation process “created a landslide of additional development along the freeway corridor in Portland [where the Meier & Frank Delivery Depot is located]. Since the building was redeveloped, it creates a nice image on the skyline as you approach Downtown.” But the delivery depot’s biggest achievement was maintaining its historic charm while adding the sustainable features it needs to help make Portland a greener city.